Do you want a successful online course business? Then you need a dependable, Swiss Army knife-like tool to help with the digital presence of your entrepreneurial journey. With all the processes, workflows, and checkpoints involved with running a business selling online courses, anything less can be catastrophic for you and your audience. If you’ve been in the online coaching scene for quite some time now, however, you’d have already heard about Kajabi — the go-to platform that online course business owners cling to when setting up, managing and growing their businesses. Does the platform really have enough firepower to skyrocket the online course creators to success? Or is Kajabi overrated? Let’s check under the hood and see what Kajabi’s online course business arsenal looks like. What is Kajabi anyway? What exactly does it do? These are the two questions that we first need to address so we have a guiding compass of what the platform’s features really points to. Simply put, Kajabi is a platform that people in the “digital products” space use — though, it is certainly more than capable to house almost any kind of online business you can think of. 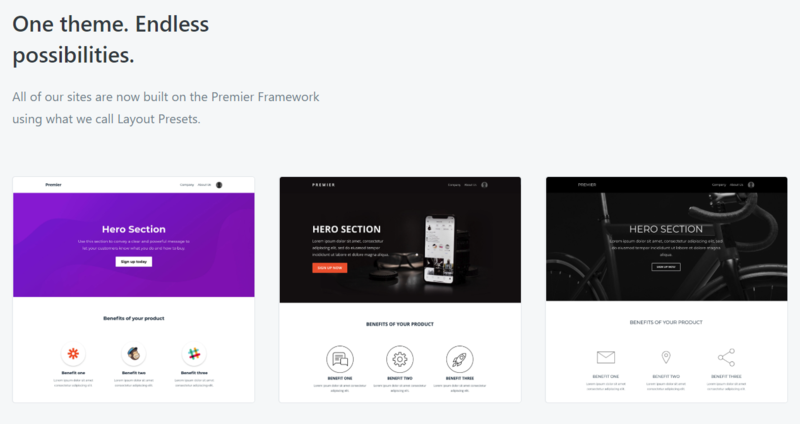 Kajabi has truckloads of features (which we will talk about later in depth), but, for the most part, we can categorize its features/functions into four components: website creation, product creation, digital marketing, community management, and business transactions. Not only is the platform featured by renowned companies, but it’s also used by influencers. What’s more, Kajabi’s been getting positive reviews in major software review websites through the years. With this package alone, you gain access to Kajabi’s most crucial features. You can set up three products and pipelines, create unlimited landing pages, create one website, etc. This is Kajabi’s most popular plan. With the Growth package, you get everything that the Basic package has to offer and then some. You can remove Kajabi’s branding, set up automations, and even run an affiliate program. The Pro package allows you to add 100 products, add over 20 admins, and you also have access to the theme editor and the Experts Academy. Of course, you get all of these on top of all the features in the Growth package. Click this link to learn more about Kajabi’s pricing. If you’re about to decide based on price alone if Kajabi is for you, I suggest you continue reading first to learn more about what the platform has to offer. Kajabi’s website creation tool relies on a WYSIWYG or What You See Is What You Get editor. As the name suggests, it’s a visual editor that lets you see the changes you make in real time. To further save time, Kajabi features several pre-made themes that could cut development time by half. Kajabi also comes with a built-in page builder that lets you design customized registration pages without writing a single line of code. 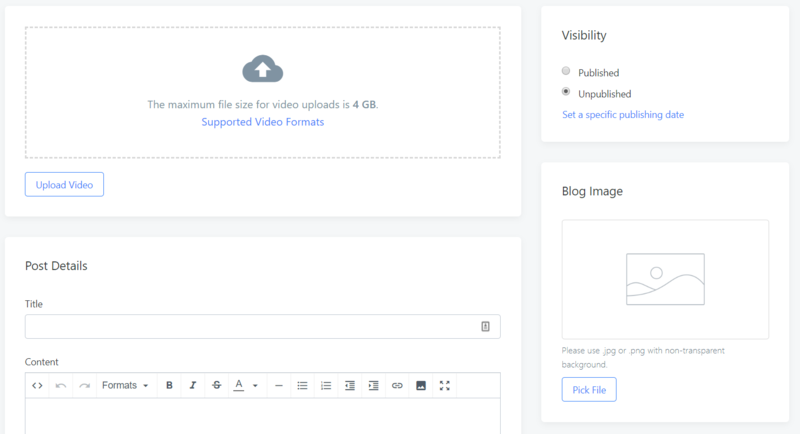 If you want to publish articles to supplement the learning experience of your audience and boost your brand authority, Kajabi has a blog management tool for that as well. 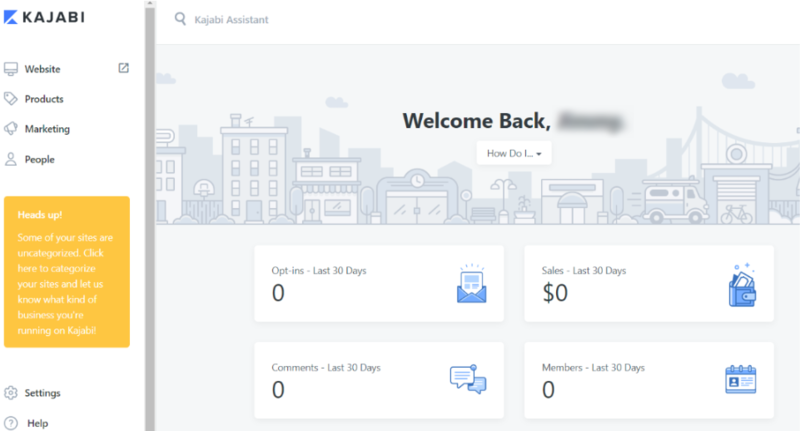 One of the driving factors that has allowed Kajabi to produce countless Kajabi Heroes — people who’ve earned their first $1,000 through the platform — is their robust marketing features. There are a lot of things worth mentioning about their marketing functions, but I’d like to highlight their ability to create marketing pipelines. Under Kajabi’s Marketing menu is the Pipelines option. 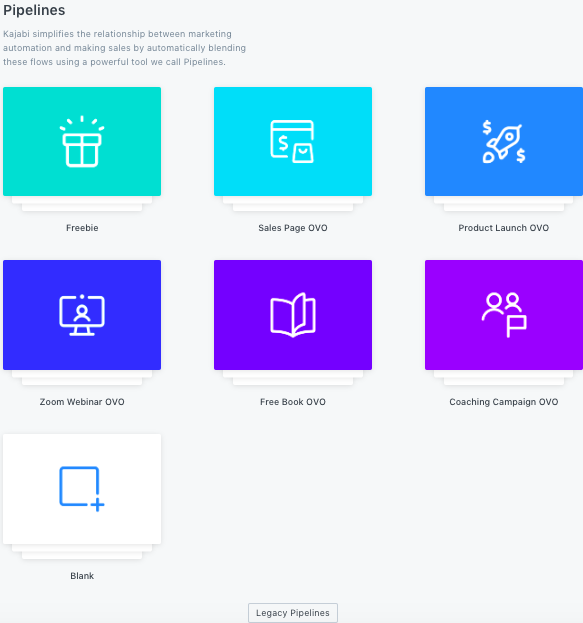 Upon clicking Pipelines, you’ll see several marketing sequences that you can select based on how you want your marketing funnel to run. After choosing any of the options, Kajabi will give you an idea of how the marketing sequence will flow, and an accompanying video about the marketing sequence. I clicked Sales Page OVO, here’s what came up. If you find that this type of funnel is perfect for your marketing campaign, then you can start creating your pipeline. 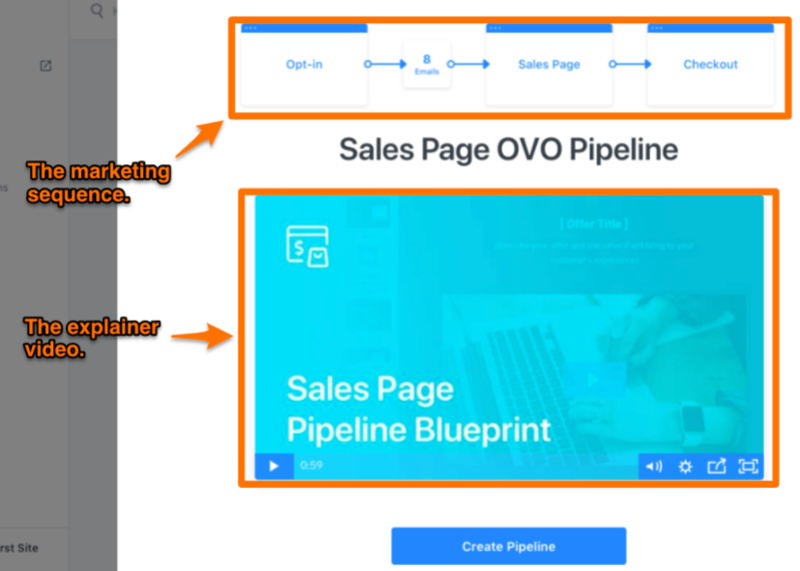 The marketing automation you’ll get out of the Pipelines feature alone can help you gain thousands upon thousands of leads. Since Kajabi has other marketing functions like email campaigns, automations, setting up events and forms, etc., then you have all you need to market your online course business and grow to greater heights. Kajabi did such a great job at grouping together their features into easy-to-understand categories. Not only that, but their features are also labeled in such a way that those who are new to the platform won’t feel lost regardless of which function/page they’re in. Kajabi’s users enjoy the fact that they’re always a few clicks away from the features they need. To give you an idea of how refined the user experience is, here’s a snapshot of Kajabi’s dashboard. The main dashboard will provide you with an overview of your online course website. This includes the total number of sales, comments, members, and issues in your Kajabi platform that require your attention. Here’s a brief walkthrough of the online course creation process. With Kajabi, there are four product blueprints you can use as a template to build your online course: mini course, online course, evergreen training, and membership. All of these blueprints have their own pros and cons. But if you’d rather start from scratch, then you should pick the “Blank” product blueprint. Right off the bat, you can start building your online course by creating categories and the content itself. All you have to do is click the “plus” buttons next to the appropriate headers in your outline. From the product overview page, you can also set your online course’s pricing. 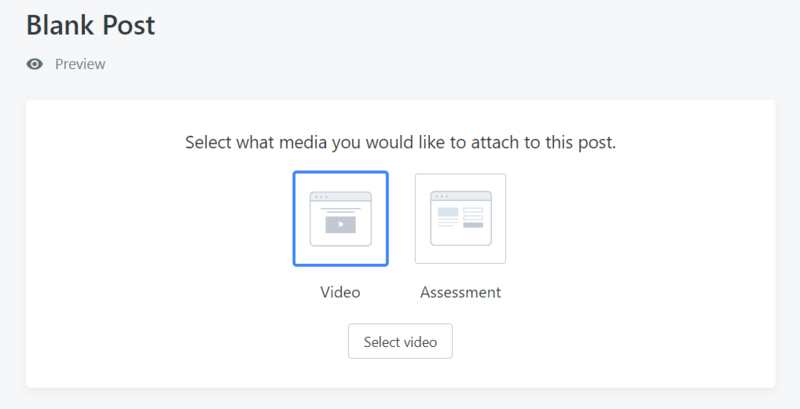 Finally, your course content may either contain the lesson video or an interactive assessment that functions as a test. Of course, you can maximize the value of each course material by adding comprehensive descriptions and offering some downloadables — from eBooks to additional video content. There you have it — a comprehensive review of Kajabi and why many brands choose it as their knowledge commerce platform. At the end of the day, your online course software will only be just as effective as the content you offer would-be students. Unfortunately, that’s a topic for another day. For now, see to it that the core features of Kajabi align with your goals as a brand and as an aspiring authority in your niche. Cheers!